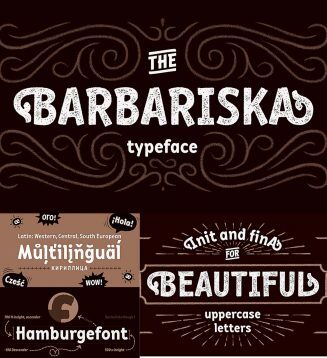 Handcrafted typeface with a friendly character. Two weights in three styles. Weights: Regular and Oblique. Styles: normal, rough1, rough2. Comes with cyrillic typeface. File format: ttf for Photoshop or other software. Tags: brush, cyrillic, decorative, grotesk, lettering, rough, textured.